Looking for some easy preschool crafts to do with your toddlers? Here are just a few to get you started. More are being added weekly so make sure to check back often. 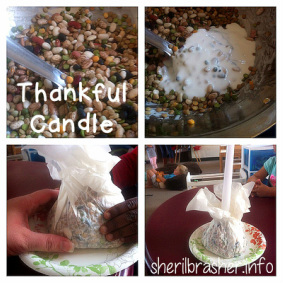 Preschool Craft: Thankful Candle. Easy Preschool Craft for Thanksgiving using just a few inexpensive items.